Your signage and the exterior appearance of your business can play an important role in your success. The fastest way to get your signs and other exterior modifications (awnings, paint color changes, etc.) approved is to check in first with the Planning Department staff. Staff can explain when approval by the Design Review & Historic Preservation Commission (DRHPC) is required and provide the necessary forms. 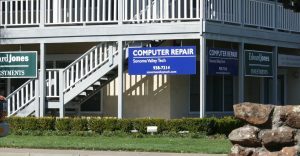 Some types of signs can be approved over the counter, but it is to your benefit to hire a design or signage professional to assist you.